Dr Willie Durr is a South African medical graduate with more than 20 years of general practice experience. He has worked in a group family practice in Cape Town for many years prior to moving abroad. He is interested in all aspects of general practice. He has a keen special interest in skin checks and skin procedures. He has additional qualifications on Occupational Medicine with more than 10 years international experience. With more than 13 years of overseas general practice experience, Dr Gouda moved to Australia and started his Australian general practice experience in 2004. Dr Gouda obtained his Fellowship of the Royal College of General Practitioners (FRACGP) in 2007. In 2011, he was appointed as a Royal Australian College of Practitioners Examiner to share a role in the preparation of future Australian General Practitioners. Dr Gouda is interested in all aspects of general practice. Dr Celine Luis is a fellow of the Royal Australian College of General Practitioners and has worked at Strathpine GP Superclinic since 2010. Prior to this, she has been a medical doctor for over 20 years in New Zealand’s public hospitals and general practice. She holds a Diploma of Child Health and worked as a Senior Paediatric Registrar for five years. Dr Luis has special interests in women’s and children’s health, diabetes, chronic lung disease, heart disease and mental health. Bachelor of Medicine; Bachelor of Surgery (MBBS) Graduate Diploma of Health Science (Aged Care) (Queensland University of Technology) Fellowship of the Royal Australian College of General Practitioners (FRACGP) Certifcate Skin Cancer Medicine Fellowship of the Australian Medical Acupuncture College (FAMAC) Dr Jeffrey Ong completed his medical qualification in 1981 and was a practicing General practitioner for 16 years overseas before immigrating to Australia. 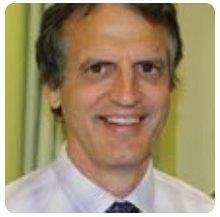 He trained in different areas in major public hospitals in Queensland from 2003, including psychiatry and also had worked in the area of occupational medicine doing pre-employment assessment and work related injury, before deciding to work full time as a General Practitioner in 2009. Dr Jeffrey Ong is a Fellow of the Royal Australian College of General Practitioners and a Fellow of the Australian Medical Acupuncture College. He has special interests in medical acupuncture, general medicine, mental health, women's health, antenatal care, paediatrics, skin cancer medicine and chronic diseases. Dr Frangue is an internationally trained, caring GP with many years’ experience as a hospital doctor in the UK prior to returning to private practice. Her experience and interest include Women’s and Men’s health, Aged Care, Skin checks, Family Planning, Diabetes Management. Minor Surgery and Palliative Care. Bachelor of Medicine and Surgery (MBBS) Adelaide Diploma of Child Health (Adelaide) Fellow of the Royal Australian College of General Practitioners (FRACGP) Fellow of the Australian Medical Acupuncture College (FAMAC) Dr Adrian Wong is an Australian medical graduate who trained in Paediatrics at major teaching hospitals for over 10 years and subsequently obtained his Fellowship of the Royal Australian College of General Practitioners in Australia. 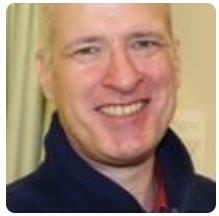 he is a fully qualified Medical Acupuncturist and a Fellow of the Australian Medical Acupuncture College. He has special interests in medical acupuncture, paediatrics, general medicine, women's' health, antenatal care, mental health skin care and chronic diseases. Dr John Whitson graduated from the University of NSW. Initially John completed hospital posts in New South Wales and more extensively in the ACT before relocating to Queensland. Additionally, John gained considerable emergency medicine experience at an NHS teaching hospital in the United Kingdom. John's particular interests are in diabetes (both type 1 and type 2), thyroid medicine, respiratory medicine, paediatrics, musculoskeletal medicine, as well as mental health. In addition to these areas, John is interested in all aspects of medicine including cardiology, GI concerns, women's health, men's health, medical imaging and pathology. Outside medicine John is interested in contemporary Australian politics, science and the natural environment. 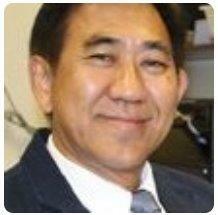 Dr Inglis Chern graduated from the University of Queensland Medical School in 1991. Dr. Bhavana Kulkarni is a fellow of Royal Australian college of General Practitioners. She is an experienced GP who enjoys all aspects of general practice. Dr Kulkarni has special interest in women’s health, skin cancer, minor surgical procedures and chronic disease management. She has vast experience working in hospital and primary care both in Australia and overseas. She has done the training for diploma in obstetrics and gynaecology and offers Implanon insertion and Mirena/ IUD insertion. She is registered antenatal shared care provider. She holds a certificate in primary care skin cancer surgery. Dr Kulkarni has been involved in training of GP registrars and medical students. In her spare time Dr Kulkarni enjoys spending time with her family and her friends. 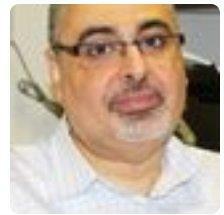 Dr Vahid moved to Australia at 2011 after eleven years of working as a General Practitioner in Iran. He attained his Fellowship of Royal Australian College of General Practitioners (FRACGP) in 2015. He volunteered in the treatment and management of mass casualties following the devastating Bam earthquakes in Iran. 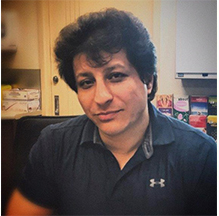 Dr Vahid interests include skin conditions, musculoskeletal medicine, occupational medicine, chronic disease management, respiratory medicine, paediatrics and women's health. His special interests are Cosmetic medicine and Minor Procedures.